Vijay Deverakonda, who became a household name after the huge success of his ‘Arjun Reddy’ is currently awaiting the release of his next film ‘Dear Comrade’. 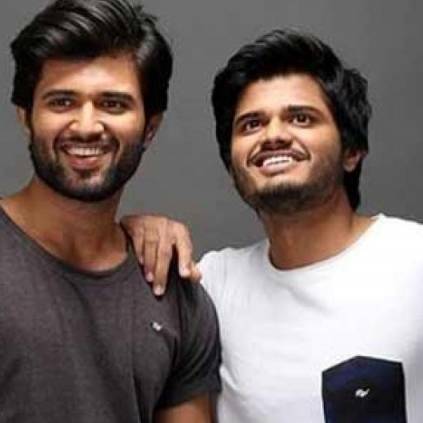 Meanwhile, his brother Anand Deverakonda is all set to make his silver screen debut. Titled ‘Dorasani’, the movie stars Anand Deverakonda and Dr.Rajasekhar’s daughter Shivatmika in lead roles. It is a period romantic drama, set in the '80s and ’90s. This movie marks the debut of both Anand and Shivatmika, the star kids. The title look poster of the movie has been released. The movie is directed by KVR Mahendra and has music by Prashanth R.Vihari and cinematography by Sunny Koorapati, while Navin Nooli has handled the cuts. The project is bankrolled by Yash Rangineni and Madhura Sridhar under the banners Big Ben Cinemas and Madhura Entertainment. People looking for online information on Anand Deverakonda, Dorasaani, Vijay Deverakonda will find this news story useful.